So guys I’ve been doing my homework and searching for about a year ago into a new motorcycle. My girlfriend was not too happy about it but after much back and forth she let me go through with this. I am a new rider so the obvious choices were the 300 classes (Yamaha r3, cb300f etc.) only thing was wrong with that is that I would outgrow them quickly which turned me off. I started to watch a lot of Motobloggers and I discovered the fz- 07. The Yamaha was perfect it was the right mix of sportsbike and naked bike. 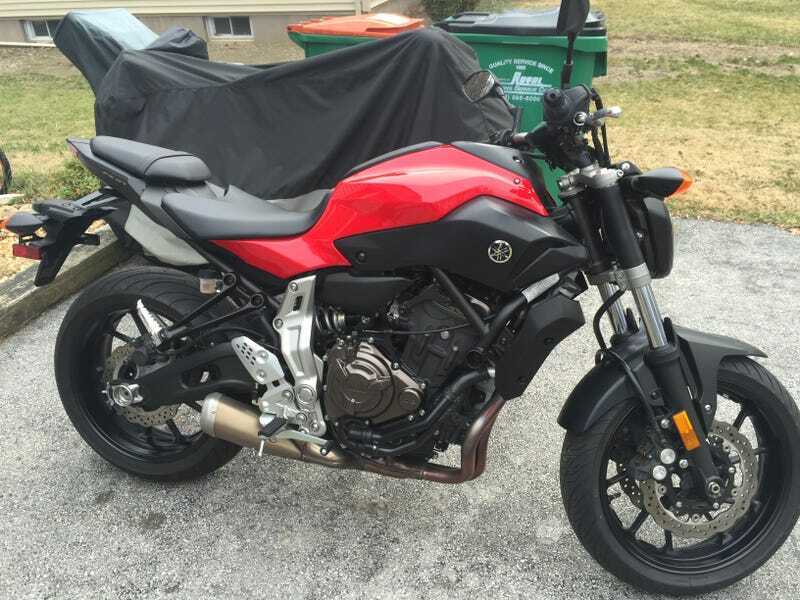 After much research on Craigslist I found a nice example 2015 red fz-07 with 750 miles bone stock. The seller was asking 5900 which was a deal itself I got him down to 5600 I couldn’t pass on this deal. I am taking my msf course in April but my buddy who owns an Indian scout will be teaching me uber a controlled environment I am so excited for this new chapter in my life.